I am not a Scripture scholar, nor do I play one on television. But the study of Scripture and the specific study of Christology has been of great interest to me since I was a young man. My personal library has an entire bookcase of works of Christology, ranging from left to right, high to low, liberal to conservative. If there is one thing I have learned in reading many different books on the life and teachings of Jesus Christ, it is this: there is nothing—absolutely nothing—new under the sun when it comes to grand theories and elaborate meta-narratives attempting to explain (or explain away) the man from Nazareth. Anyone who follows the field, even as a curious amateur, knows this to be the case. But—and it’s an important “but”—99.9% of people don’t know this. And a number of those folks are curious about, or even obsessed by, seemingly original explanations about the “truth” regarding Jesus. (Mark Shea, in his recent CWR article, “The Messiah We Need, Not the Messiah We Want”, delves into this very nicely.) For my part, I’ve tackled this in detail on two specific fronts. The first was The Da Vinci Code, which was constructed (like a deck of cards in a hurricane) on the premise that Jesus was a mere mortal whose sole claim to any sort of uniqueness was due to his alleged marriage to the “goddess” Mary Magdalene. The entire third chapter of The Da Vinci Hoax, which I co-authored with medievalist Sandra Miesel, was on “The Christ and the Code.” There, we showed how Brown based nearly all of his “research” on conspiracy-theory-laden books including Holy Blood, Holy Grail and The Templar Revelation. The second was The Third Jesus, authored by New Age guru and peddler of neo-gnostic syncretism, Deepak Chopra, a book that was so laughably ignorant and brazenly arrogant that I likely took a bit too much pleasure in shredding it in this lengthy 2008 review. Which brings me to Reza Aslan’s best-selling, attention-grabbing, and radically skeptical book, Zealot: The Life and Times of Jesus of Nazareth (Random House, 2013), which has stirred up controversy (however contrived it might be) and sent many media types into fits of ecstasy. The book, The New Yorker authoritatively informs readers, is “an original account” (no, it’s not; more on that in a moment), while the San Francisco Chronicle states, “Aslan’s insistence on human and historical actuality turns out to be far more interesting than dogmatic theology.” Ah. Because we all know that dogma has nothing to do with human and historical actuality—especially if we don’t bother to study the history of Christian theology, the early councils, and the subsequent debates within just the Church. Apologist Jimmy Akin has penned a helpful primer and overview of Zealot and the surrounding hoopla. He points out that Aslan does indeed take a deeply skeptical approach to the historical validity of the Gospels, to the point that Aslan insists “there are only two hard historical facts about Jesus of Nazareth upon which we can confidently rely: the first is that Jesus was a Jew who led a popular Jewish movement in Palestine at the beginning of the first century C.E. ; the second is that Rome crucified him for doing so.” I’ve not read Aslan’s book from cover to cover, but I was struck by how, in the Introduction, Aslan creates a convenient and attractive conflict between the “unquestioning believer” (a reference to himself as a teenager embracing Evangelicalism) and the “inquisitive scholar” (which he now purports to be). What about the questioning and inquisitive believer? What about the scholarly and learned believer? resurrects the theory that Jesus’ ministry and death are best explained against the background of Jewish zealot movements at the turn of the era. There is little here that is new. The ablest presentation of this line of interpretation was made by the British scholar S. G. F. Brandon in 1967. Few followed Brandon then; virtually no one does today. I doubt very much that Aslan’s fresh take on it will win a following—at least not among scholars. There are numerous problems with Zealot, not least the fact that it heavily relies on an outdated and discredited thesis. But it also introduces a number of its own novel oddities and implausibilities. Aslan has canvassed much of the responsible scholarship in the field, but he does not always choose his options prudently. He often opts for extreme views and sometimes makes breathtaking assertions. I cannot help but wonder if Aslan’s penchant for creative writing is part of the explanation. Indeed, Zealot often reads more like a novel than a work of historical analysis. Aslan assumes the latest possible dates for the Gospels and Acts, dating Mark after A.D. 70, Matthew and Luke-Acts in the 90s (perhaps later), and John somewhere between 100 and 120. After assigning such late dates he declares that there is no tradition of eyewitness accounts (without engaging Richard Bauckham’s important book on this subject, Jesus and the Eyewitnesses). The circularity of this reasoning is hard to miss. 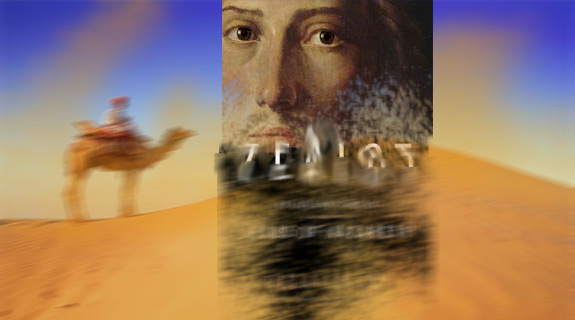 Zealot is riddled with errors, probable errors, and exaggerations. Aslan tells us a builder in Nazareth had “little to do.” Excavations at Nazareth and nearby Sepphoris suggest otherwise. Being a builder (or “carpenter”) meant that “Jesus would have belonged to the lowest class of peasants in first-century Palestine.” Where does this come from? Sepphoris, a major city of Galilee, is said to be “a day’s walk” from Nazareth. Actually, it takes a jogger about 45 minutes. Scholars will be surprised to learn that the first-century Jewish prophet Jesus ben Ananias, mentioned by the historian Josephus, prophesied the “imminent return of the messiah.” He did no such thing. This makes for a wonderful story of conflict, intrigue, and contention, which partially explains why it sells well and is peddled furiously by media types who won’t bother to read, let alone tout, a work of actual Scriptural scholarship (such as Bauckham’s important book, mentioned by Evans). While books such as Zealot purport to repaint the entire landscape in startling colors, works of real, careful scholarship have the more modest goals of adding a few small brushstrokes to a massive and complex canvas. Such work requires, frankly, both a love for truth and a certain amount of humility. Aslan may, in fact, be deeply motivated by a love for truth, but the word that comes to mind in skimming through his book is not “humility”, but “hubris”. This combination of overly confident and simplistic assertions on exceedingly complex theological matters, with stretching of truths—numerical, historical, theological, and personal—permeates Aslan’s bestseller. And yet, precisely because Zealot is generating such frenzied controversy, this is all serving Aslan very well. Here we see another unifying characteristic of popular writers such as Aslan, Brown, Chopra, and others: an obsessive desire to demolish and do away with the Christ proclaimed by traditional Christians—who is both God and man, the Savior of mankind, founder of the Church, etc.—combined with a remarkable failure to adequately deal with the complexities and depths found in the Gospels, the rest of the New Testament, the writings of the Fathers, the declarations of the early Councils, and so forth. The fact is, while such writers act as if they are intent on doing real historical study, they cannot “out do” the Church when it comes to historical roots and validity, precisely because authentic Christianity and the real Church is so thoroughly based on and rooted in historical events, especially the event called The Incarnation. 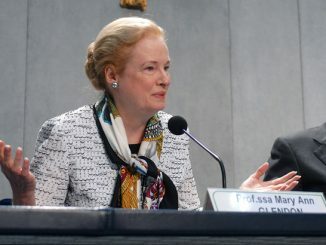 This is not to downplay the role of faith, but rather to highlight a fact that seems to escape many skeptics: the Church is not afraid of history, but embraces it in a way that such skeptics, in the end, do not. The exceptional German professor of New Testament exegesis, Gerhard Lohfink, brilliantly takes up these issues of authority and ecclesial experience in his new book, Jesus of Nazareth: What He Wanted, Who He Was (Liturgical Press, 2012). Referring to some remarks made by Romano Guardini, Lohfink notes that “the encounter with Jesus must not be left to subjective religious experience; a place is appointed for Jesus, one that is built in such a way that he can be rightly seen and listened to—and that place is the church.” (Lohfink is also the author of a fine work of ecclesiology, Does God Need the Church? [Michael Glazier, 1999].) Lohfink points out that early on, in the first couple of centuries following Christ’s Ascension, there were works such as the “Infancy Gospel of Thomas”, that many Christians read and enjoyed. But these various writings, many of them gnostic, were not included in the canon of the New Testament, even if “many of these writings certainly addressed the thoughts and feelings of the Christians of the time, especially their religious curiosity.” The Church, as time went on, had to make decisions about what books contained authentic witness to the real Jesus, who is both the Jesus of history and the Christ of the Church, one and the same. Without those decisions, which resulted in the canon, there would confusion and chaos; the Church, in her own way (guided, we believe, by the Holy Spirit) acted as a true historian, mindful that historical fact does not conflict with faith, but rather aligns with it.